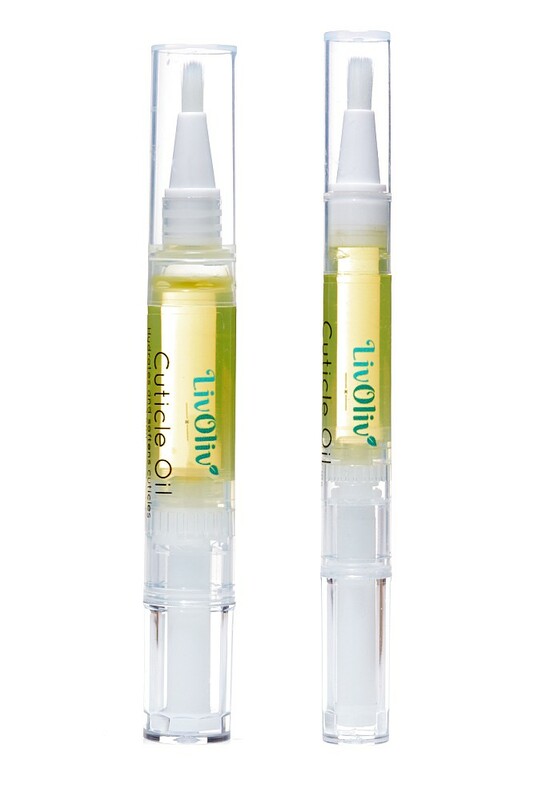 A Sensual Heady Addictive Fragranced Cuticle Oil, presented in a convenient pen applicator with brush. Citrus Oils are really great for uplifting the spirits, they also stimulate the immune system & the circulation, not only that, they are anti-bacterial & antiseptic. This oil will keep those cuticles healthy and looking their best. Click the top and brush the oil into your cuticles when they need moisture & protection, finish off with LivOliv Hand Cream to give your skin a real hydration boost. Our Cuticle Oil is hand made in small batches, with the finest ingredients sourced from trustworthy suppliers. 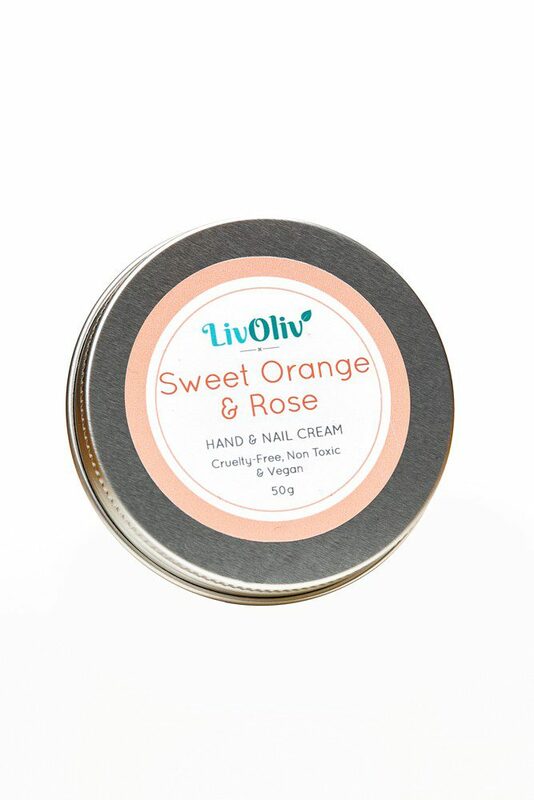 It has been hand blended to give the optimum softness and to stop dryness occurring, it contains Patchouli, Orange, Sandalwood, Rose, Geranium & Cinnamon Essential oils which gives you a heady evocative fragrance and is supplied in a compact & convenient pen with a brush applicator. To start dispensing from the pen, turn the click top 10 or more times to get started, you may need to keep going until the oil has started to come into the brush, use as much or as little as you need by brushing onto your cuticles, then pop the lid back on and the pen is ready to go next time, with only a click or 2 to release the oil. 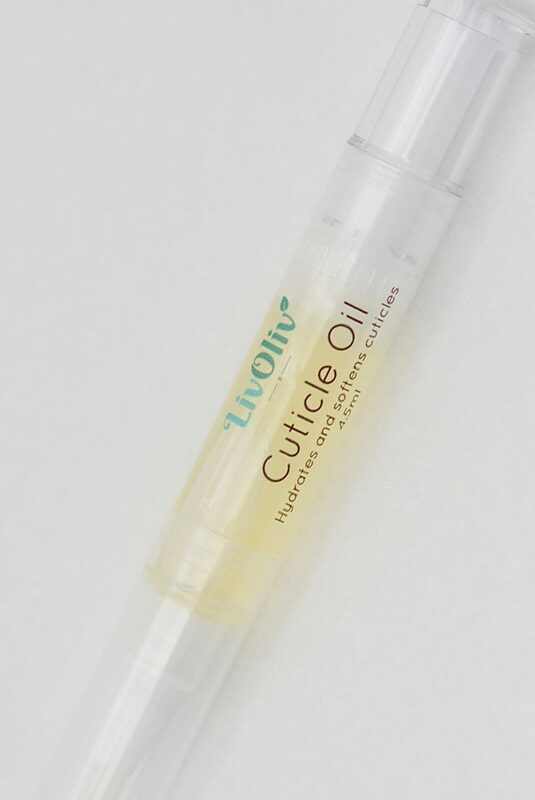 This applicator makes it easy for you take your cuticle oil with you wherever you go.